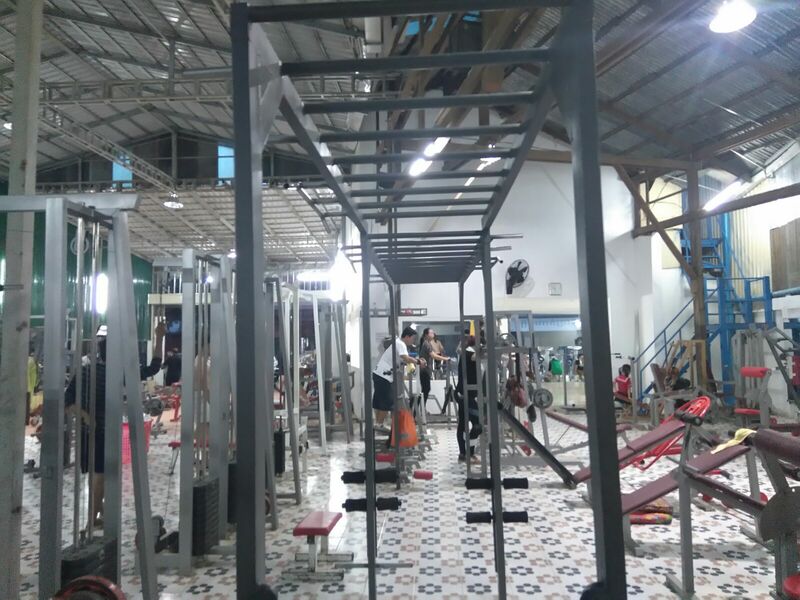 Review: This is another gym that seems to have adopted the “lets put as much equipment as we can into the space we have” kind of approach to gym design. 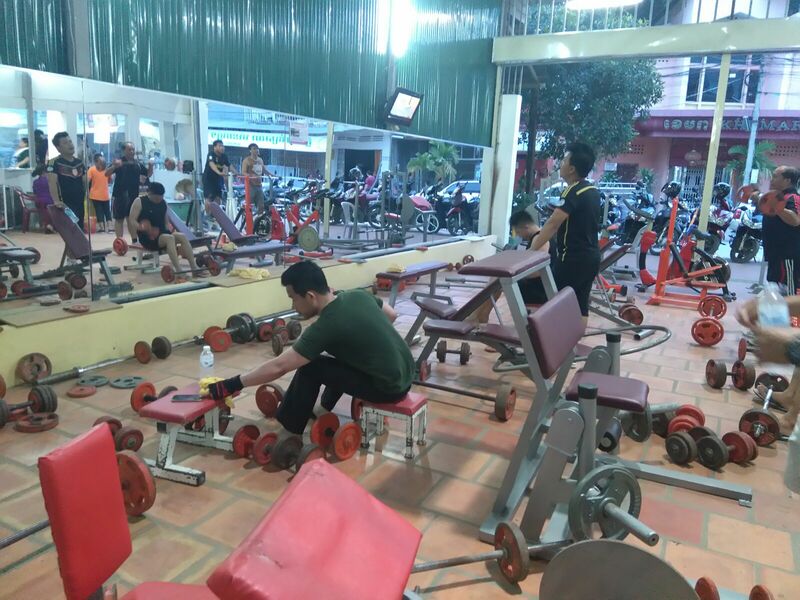 This gym does, however, have newer equipment than Monurum gym, but it is a little messy and disorganised. They could do with a weights rack. Entrance to this gym on a day pass was $1. The kindly old lady who was manning the reception desk didn’t seem to speak much English, so I wasn’t able to find out about weekly or monthly prices. 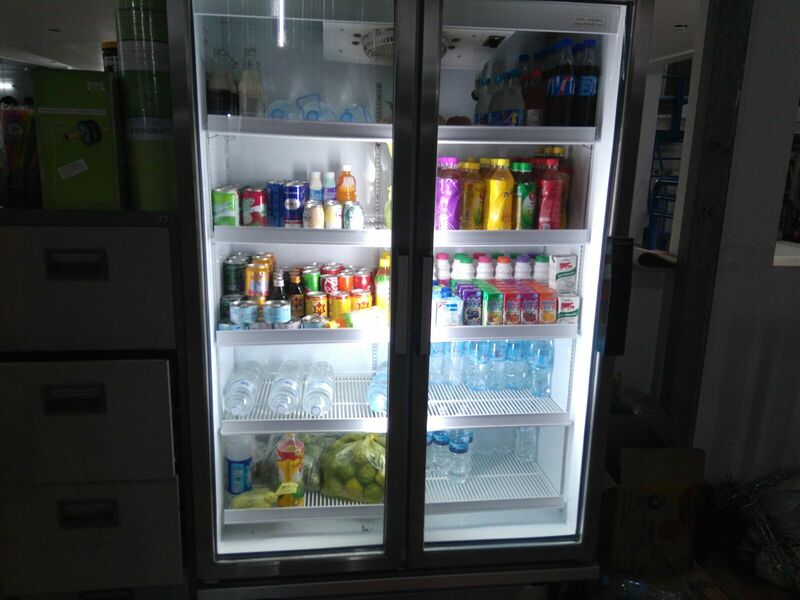 The gym also stocks a wide variety of drinks and water and sells some gym equipment such as yoga mats, shakers, protein powder, skipping ropes etc. 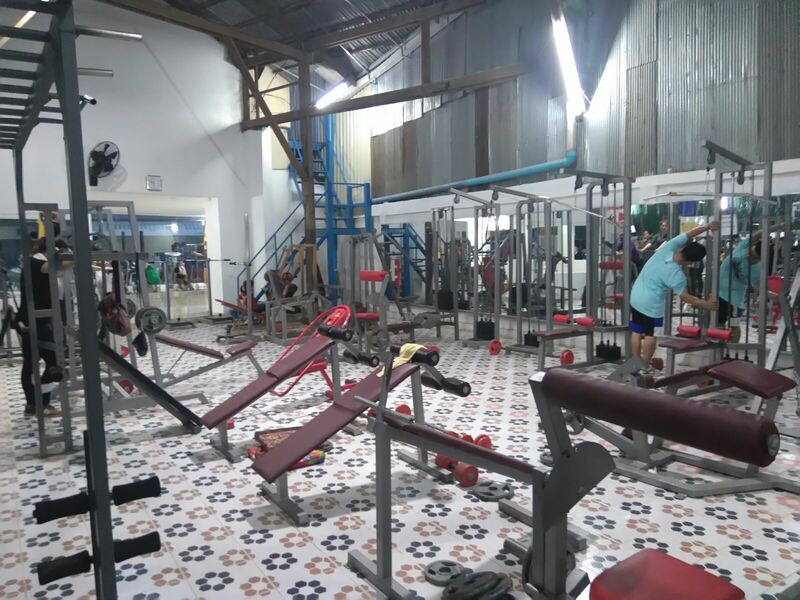 This gym was charging 25000 Cambodian riel (approx £5).for a small tub of protein which seems to have about 5 servings at most. As a result, I would recommend buying protein from Monorom gym. You can find the review here. Who is this gym for? 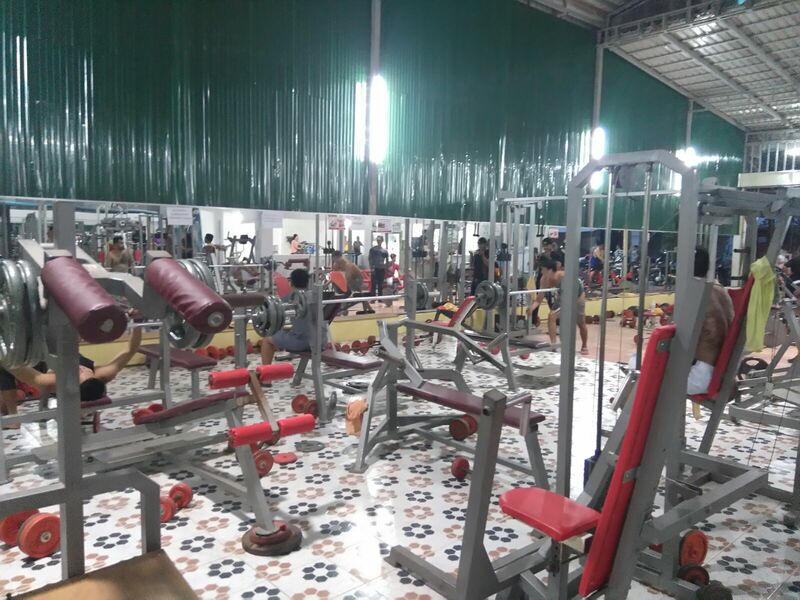 Whilst I was here, there were more women training in this gym than I have seen in any other gym in Cambodia. The cardio area seemed to be full of ladies, but they also seemed to use the ab machines and a selection of strange swinging machines. Women here do not seem to lift, but of all the places that I have trained, I think this is where I would recommend women train if they wanted to lift. It was also funny to note that women in Cambodia don’t seem to wear sports clothes, rather they seem to train in what looks like pyjamas. These are matching light cotton tops and bottoms, which seem to be popular with Cambodian women as everyday clothes as well as workout wear. If you want to fit in, or just fancy getting to go to the gym in your PJ’s, then have a look in the local shops and put a photo in the comments below. This gym is not on google so need to look for it. See the geolocation I have dropped for this location in the map, so it may be appearing there in the next few days. Tips? Every now and then you see something in real life that you have seen in movies for years, but were not sure actually existed. Today was one of these days. At the back, in the men’s changing room area, they have a line of these steam boxes that I have only ever seen in the movies. For anyone unfamiliar with these, imagine a washing machine where the front section opens out so you can climb into it. The top has a rubber seal with a hole, so you can keep your head out, or turtle your head inside and steam yourself. It is essentially a one man steam room. I have included a photo below so you can see what I mean. Bring a towel if you want to experience this for yourself!